The Clorox Automatic Toilet Bowl Cleaner kills 99.9% of household germs in toilet bowl after each flush. The Clorox toilet bowl cleaner comes in individual tablets that you can place directly inside the tank. The cleaner will not be visible in any way. Each tablet lasts about 3 months with regular usage. With each flush, you will kill most of the germs lurking around your toilet. Powered by chlorine, the Clorox cleaner helps eliminate odor. The Clorox toilet tablets clean and deodorize. It does not harm septic tanks. The Clorox cleaning tablets also helps prevent mineral and hard water stains. The tablets contains no phosphorous. You would want to have a clean toilet bowl. Germs can travel in the bathroom and contaminate your toothbrush and other items. Flush down those nasty things in the toilet along with an automatic cleaning action! I have used these toilet cleaning tablets for years. To me, it is an easy and convenient way to automatically clean your toilet with each flush. No scrubbing or handling a bottle of solution necessary. Each tablets lasts about 3 months or so depending on usage. There isn’t a strong smell to it. In fact, this would be the most neutral one. Looking to Purchase Clorox Automatic Toilet Bowl Cleaner? Shopping for the Best Toilet Cleaners? 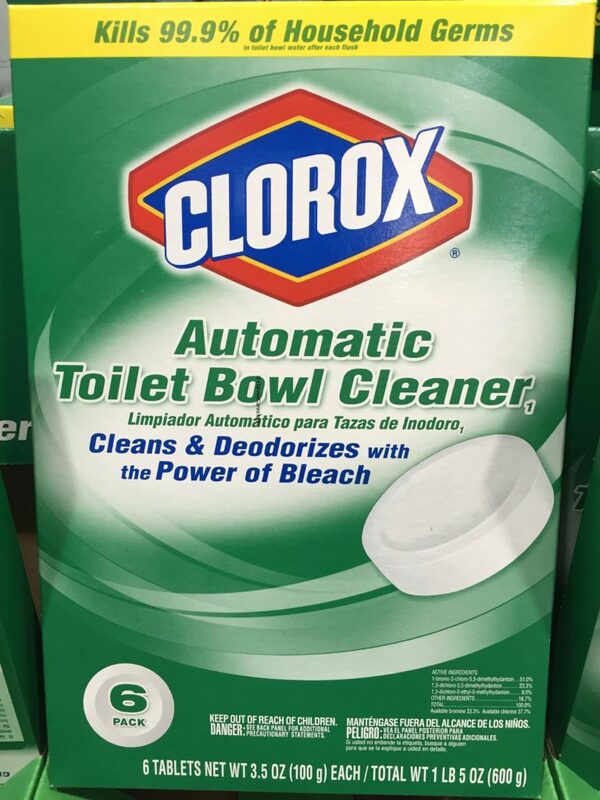 The Clorox Automatic Toilet Bowl Cleaner is wonderful. Back to the good stuff! 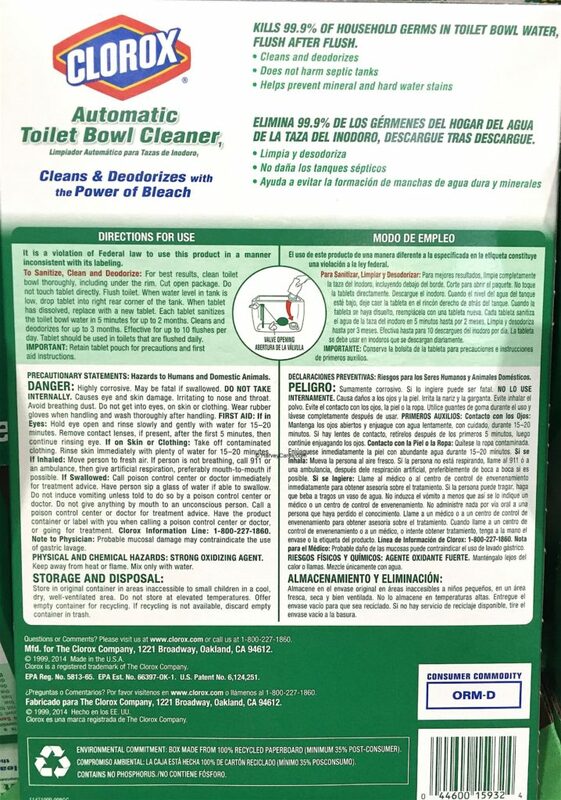 Take a look at the detailed review of Clorox Automatic Toilet Bowl Cleaner below. 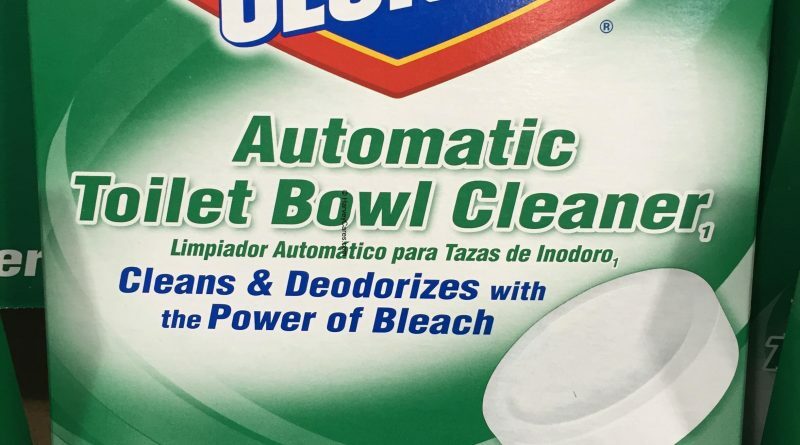 Item name: Clorox Automatic Toilet Bowl Cleaner. Kills 99.9% of household germs. Does not harm septic tanks. Helps prevent mineral and hard water stains. Bleach and other chemicals. Contains no phosphorous. The Clorox toilet bowl cleaning tablets kills most of the germs, flush after flush. The chlorine tablets effectively clean and deodorize automatically. No scrubbing needed. No solutions needed. Each time you flush your toilet, it cleans the toilet bowl. You can skip manually cleaning your toilet bowl a lot longer. Keeping a clean and germ free toilet ensures a better health. The Clorox toilet bowl tablets do not harm septic tanks. This product helps prevent mineral stains and hard water stains. This is after a limited time $2.80 instant savings promotion. 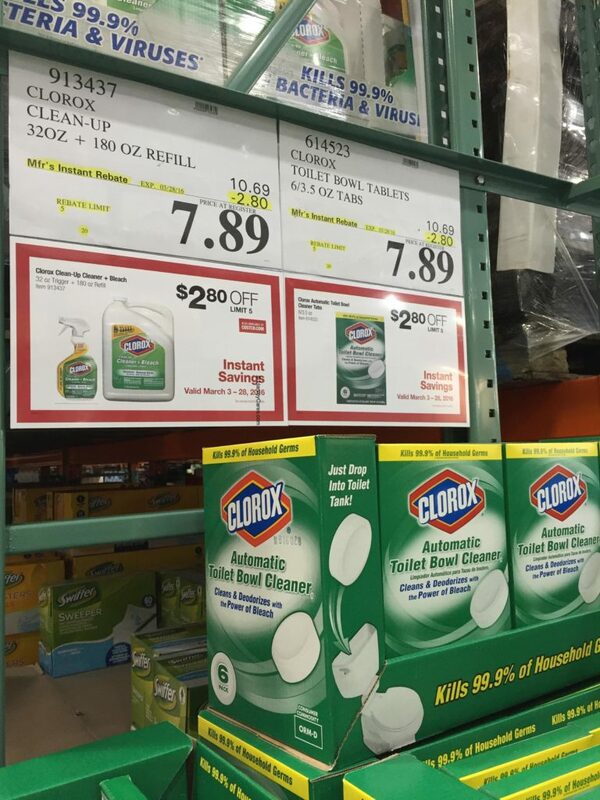 Have you bought the Clorox Automatic Toilet Bowl Cleaner before?